One of the destination Staples! 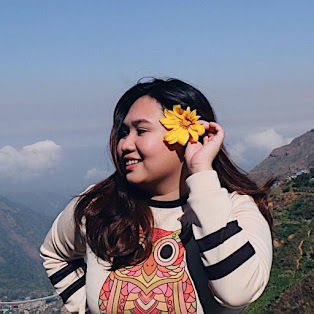 Whatever the occasion is, Baguio is just perfect for everything. Its climate, which makes it popular to foreign dignitaries, makes it an ideal place to experience cold amidst the scorching sun in the tropical. It's overlooking sceneries owing to its mountainous terrain make it a romantic spot for proposal, renewing vows, and photo shoots. While the emergence of development provides a comfortable setup not just for its inhabitants but tourists. Baguio will never run out of style despite developments in other cities. Popular Nationwide and around the world for its infamous Maskara festival, Bacolod has increasingly become a hit destination both for local tourists and businesses. As the center of Negros Occidental, the city is rich with historic sites -the ruin, San Sebastian Cathedral, Hacienda Rosalia to name a few. What's more, is Bacolod is a home for gastronomic delights like piaya and chicken inasal. The construction of the Bacolod-Silay International Airport opens the city's doors to more investments and infrastructure projects. Considered to be a vacation mecca of travel junkies. the accessibility of the beach, good food, affordable hotels, entertainment, and tourist spots all in one place makes everyone go gaga on this place. Beaches like Sumilon, Bantayan, Malapascua where one can go whale watching, diving, kite surfing, island hopping, and raving can be visited. The city doesn't fall short of food delights as the original lechon, danggit, dried mango, and chicharon are in here. The famous cebuano barbeque is also served across all stores in the city. Known as the king city of the South, Davao boats of dramatic growth and its accolade as one of the safest cities to live in. Popular for its mouth-watering durian, the city also hosts other fruits such as pomelo, mangosteen, lansones, and rambutan. With the support of the local government, the city has also become a good ecotourism park like crocodile farm and the haringibon conservation park in Mt. Apo. The city has become the darling of development with the ascension of President Duterte. There are more hotels, tourist agencies, and airports catering to local and foreign visitors. The perfect fusion of quaint and modern living. With strong colonial roots, Iloilo brags of its rich Spanish influence both in religion and architecture. The Miagao church which is a UNESCO world heritage site is the most famous and well-preserved structure. Aside from the old structures, the city is best known for its food and festivities. The hot bowls of La Paz batchoy and pancit molo promise a sumptuous feast not just for the eyes but also for the stomach. The annual Dinagyang festival and paraw regatta leave the streets of the city bustling all day long. Not to mention the rich nightlife tradition in the city. The busiest if not the richest city in the Philippines. As the center of business and commerce, Makati houses the largest Multinational companies and corporations foothold. As perennially crowded as it is, the city maintains order and cleanliness through its effective law enforcement. And with development all over the place, several luxurious malls, shops, bars, and restaurants offer a variety of options for travellers to choose from. At night, the thousands of lights serve as a mesmeric vista for overlooking places like Antipolo. The city that champions greeneries and sustainable ecotourism. Hailed as the cleanest and greenest city, it is known for its conservation and national parks like a subterranean river, Honda Bay, Iwahig penal colony, Palawan wildlife rescue and conversation center, and butterfly garden to name a few. This is an ideal getaway for nature lovers. If there is a surplus of budget, El Nido is just a boat away and Sabang underground river popular for snorkeling, diving, and islets. If you thought that Quezon City is not a go-to destination then you got it all wrong. The city is rich in history as it has abundant establishments and businesses dotting its streets. The Diliman is one hell of a historic place. What used to be the Katipuneros strategic hideout is home to the country's top University. Several eco-parks were constructed to maintain its commitment to sustainable tourism. Parks such as La Mesa eco-park, Ninoy Aquino parks, and wildlife are some of it. Museums like Art in the Island, Sining Kamalig, and Vargas museum contains timeless art pieces of Filipino artisans. Probably the most famous city all the way up in the North. Reflecting the colonial past o the country, the relics, culture, and old-fashioned Filipino tradition are alive and well preserved in the cobbleston streets, kales, rustic mansions and local delicacies like bagnet and longannisa. The view offers great photos worthy of sharing on Facebook or Instagram. There are really a lot of beautiful cities in the Philippines. The colorful streets and culture is what makes it enticing to a lot of travelers around the world. Your list here is definitely something that travelers should check out!